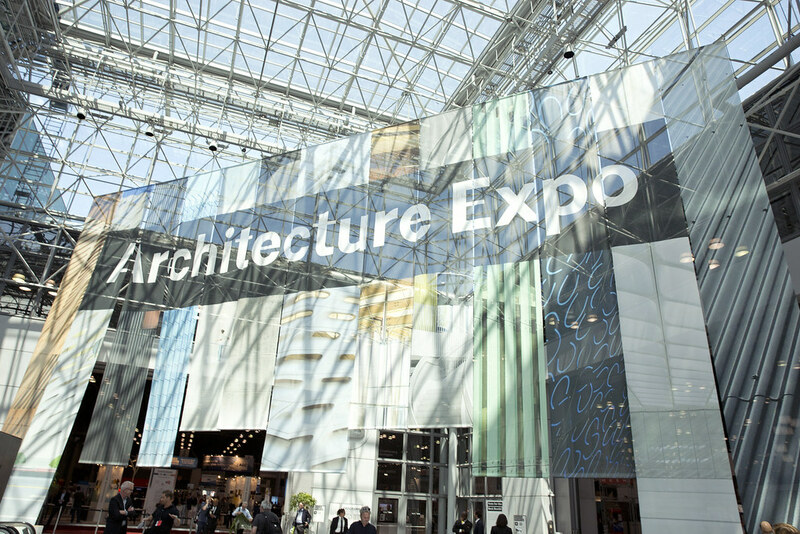 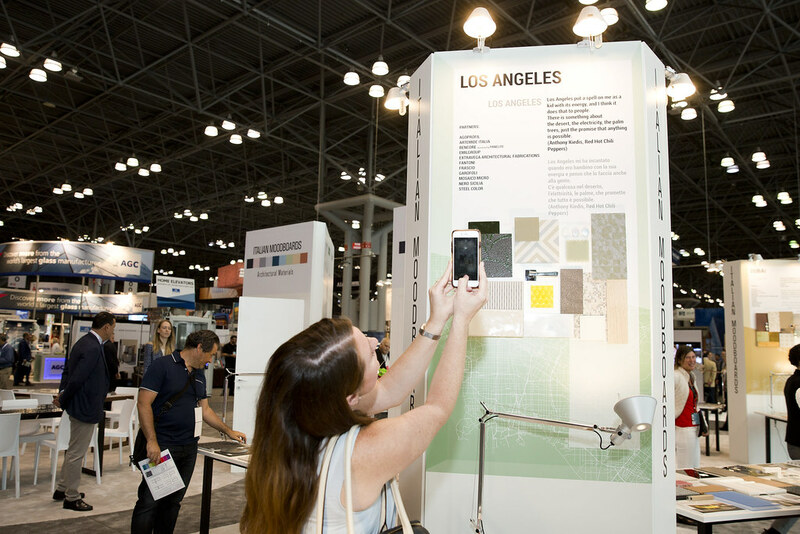 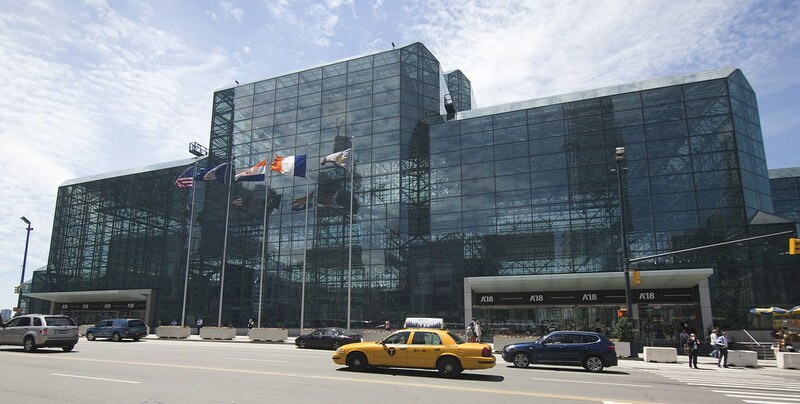 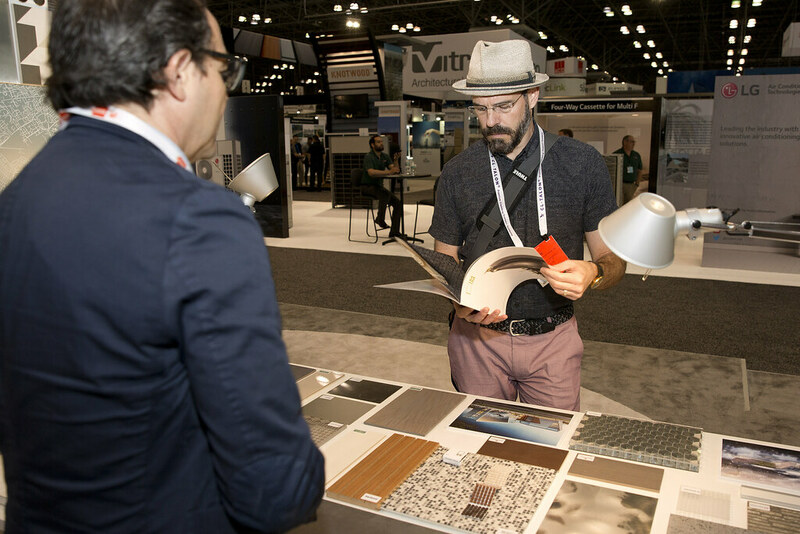 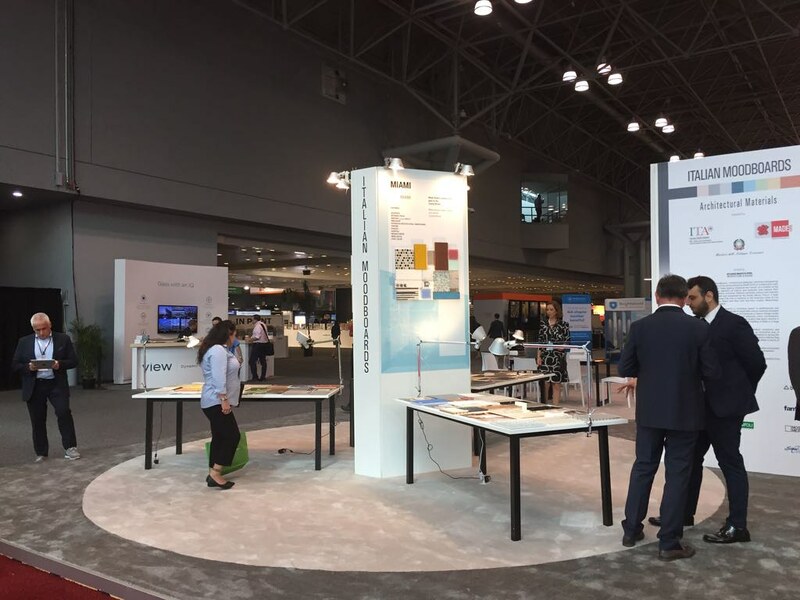 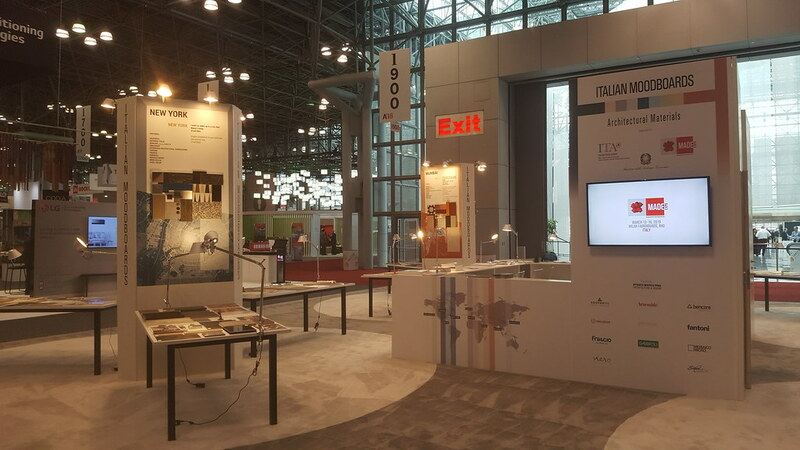 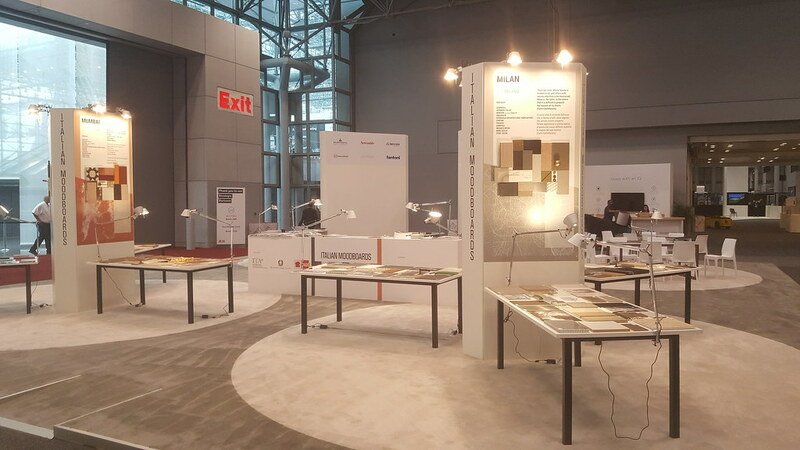 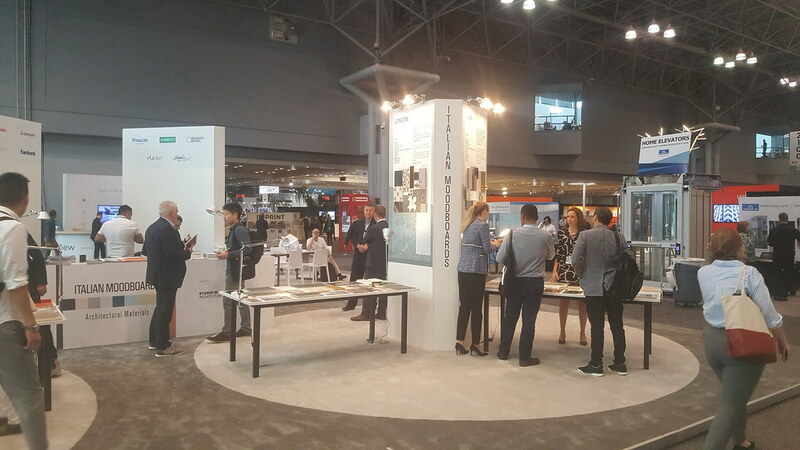 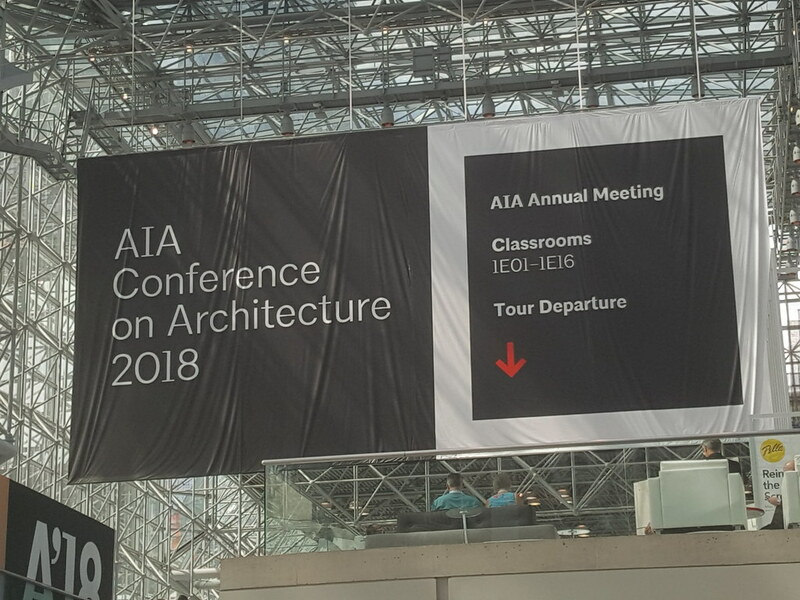 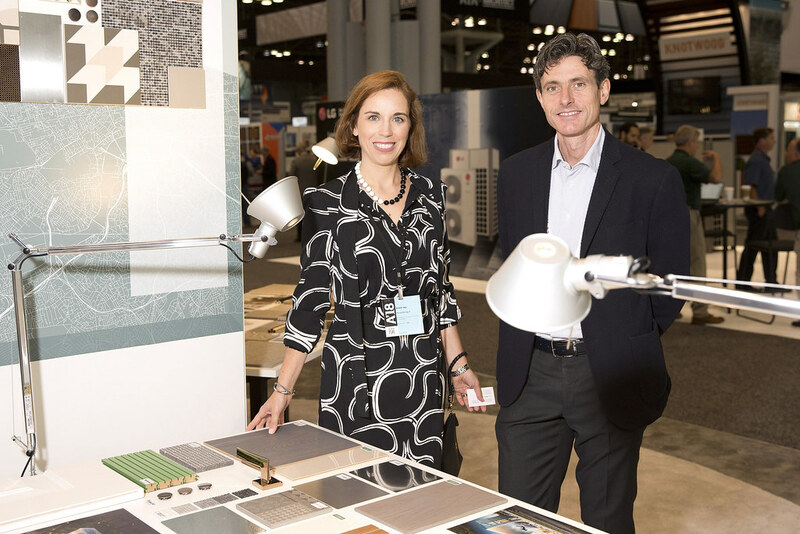 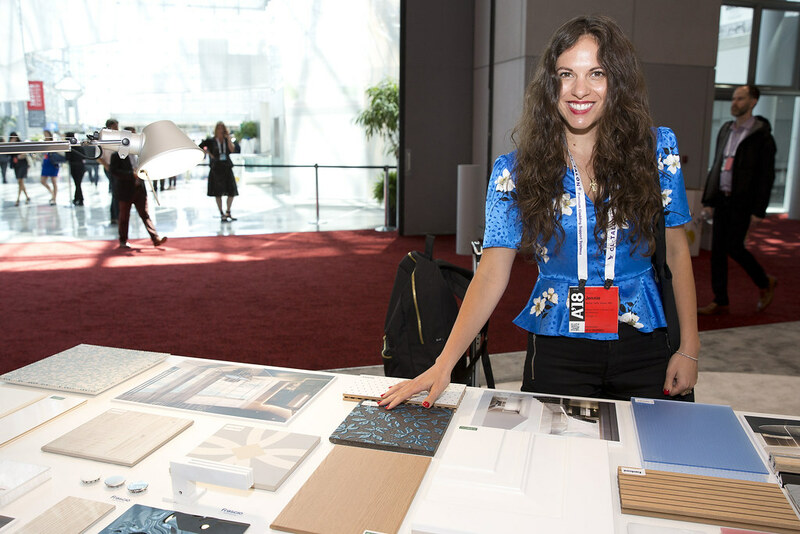 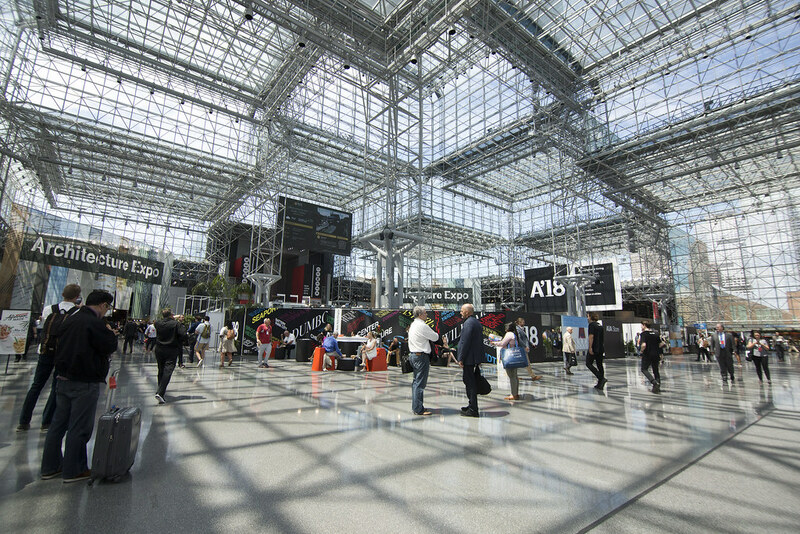 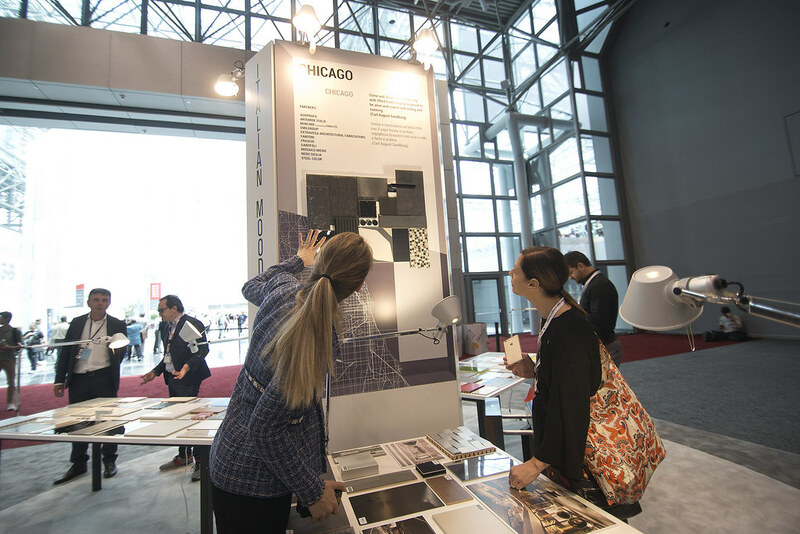 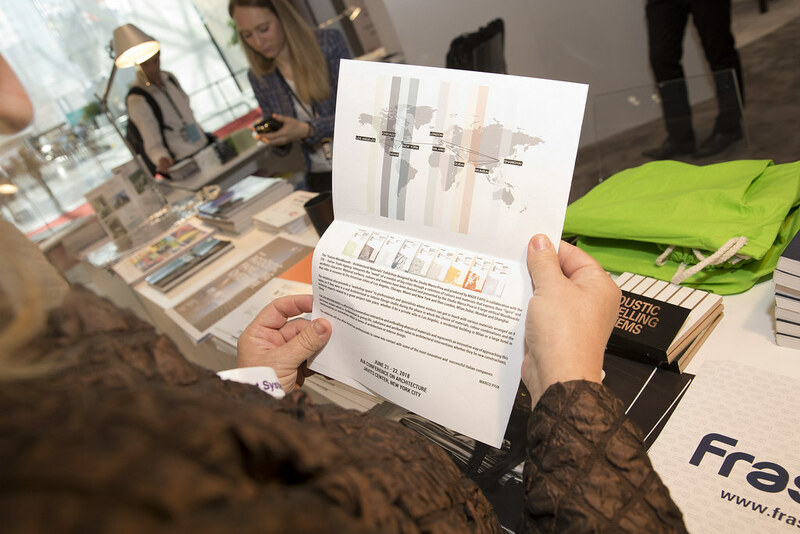 The AIA Conference on Architecture is 2018’s most significant event for architecture and design in the United States and is organized by the American Institute of Architects (AIA), the United States Architects’ Association. 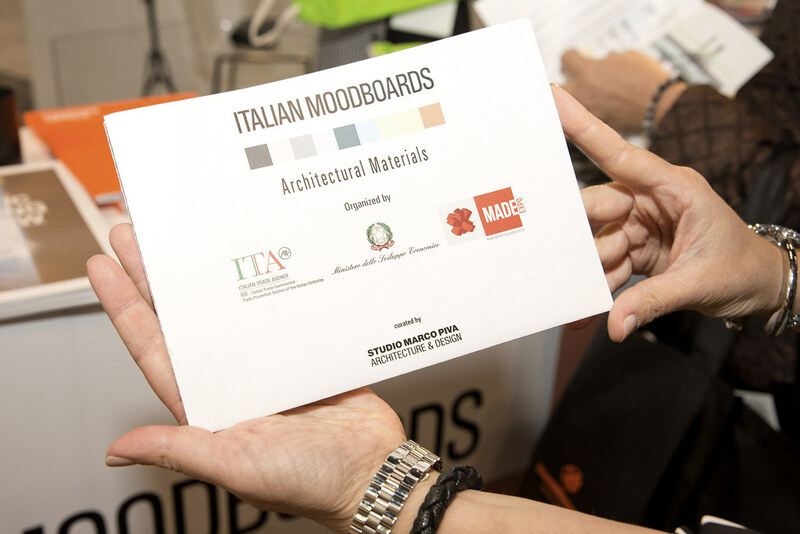 ITALIAN MOODBOARDS – Architectural Materials interprets the “mood” of a number of big cities through a selection of colours and materials that express their “Spirit” and aesthetic character. 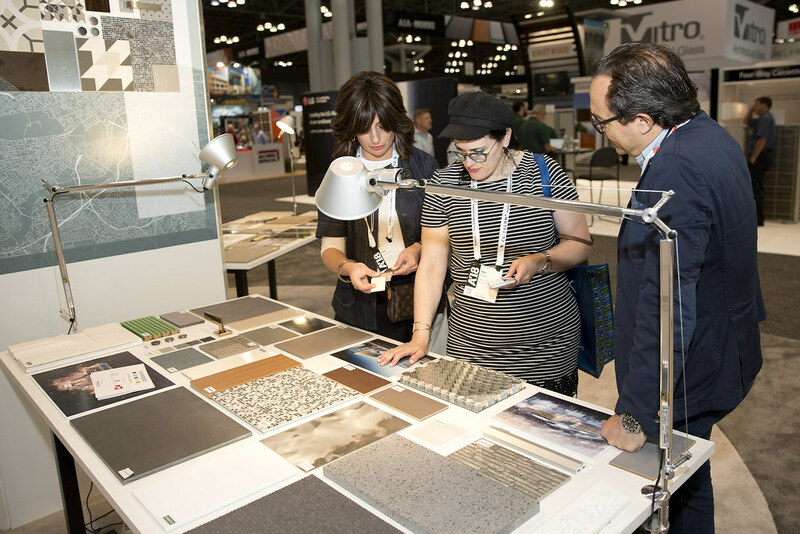 Material surfaces, colours and textures have been devised and presented by the Studio Marco Piva in 9 large vertical Moodboards that refer in essence to the American cities of Los Angeles, Chicago, Miami and New York and then London, Milan, Rome, Dubai, Mumbai and Shanghai. 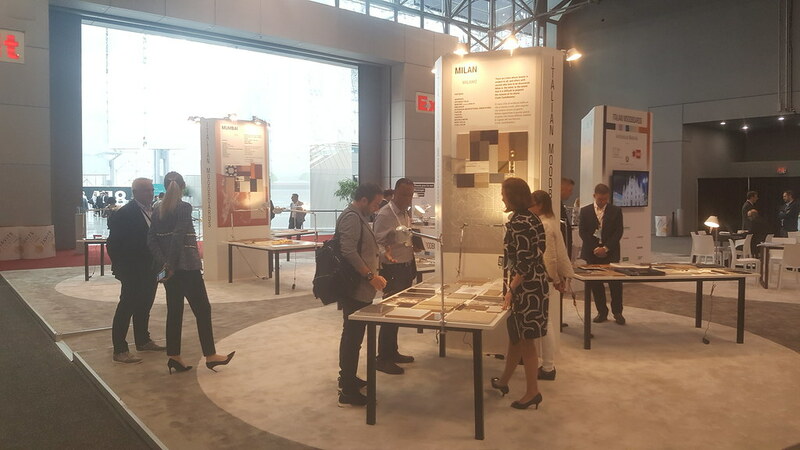 The exhibition also presents a “workshop space” to professionals and specialists where visitors can get in touch with various materials arranged on 9 tables as if they were in a real Architectural or Interior Design studio during the phase in which the choice of materials, colour combinations and the technical aspects related to a given project take place, whether it be a private villa in Los Angeles, a residential building in Milan or a large hotel in China. 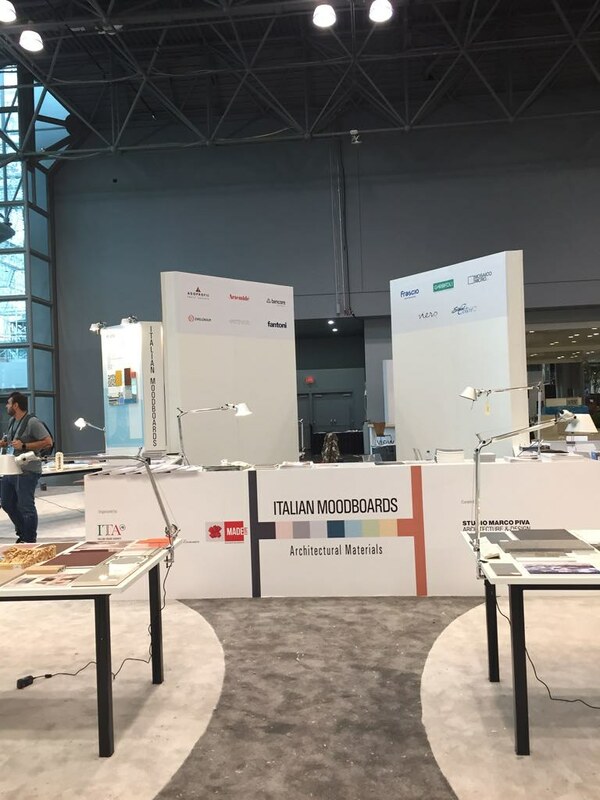 "ITALIAN MOODBOARDS is effectively a tremendous interactive and enthralling abacus of materials and represents an innovative way of approaching this particular subject which is fundamental to giving life, substance and aesthetic value to architectural interventions whether they be new constructions, transformations or restorations either in terms of architecture or Interior design. 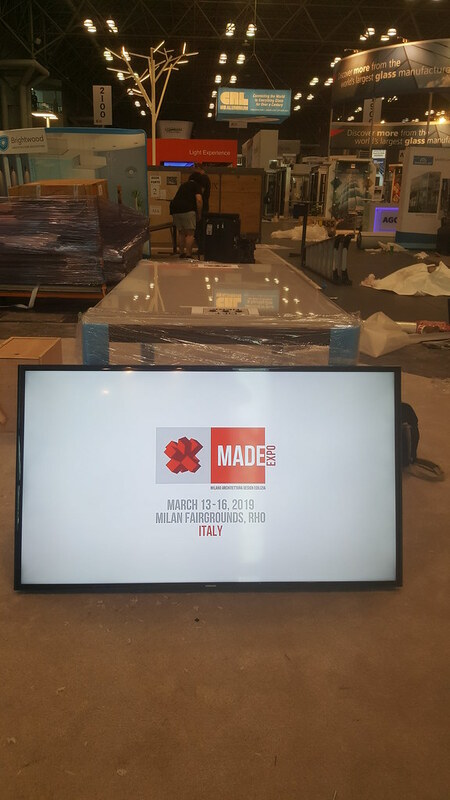 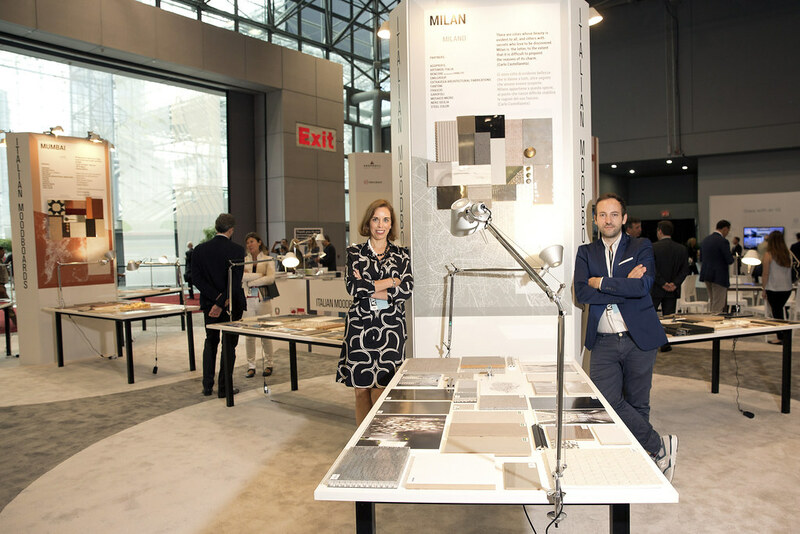 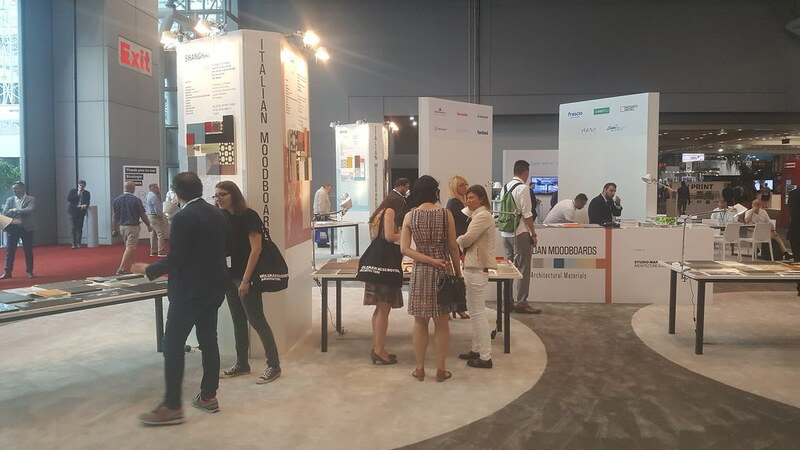 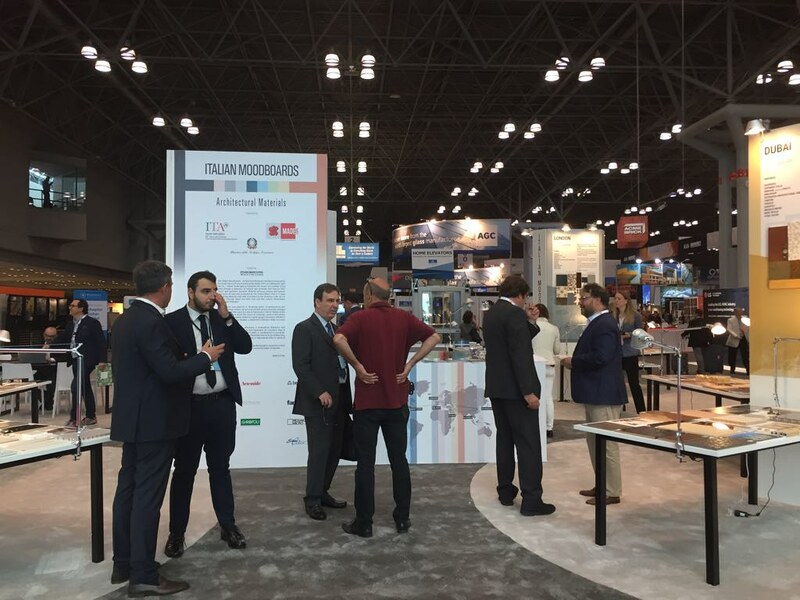 The exhibition will also allow American professionals to come into contact with some of the most innovative and successful Italian companies."